Murfreesboro, Tennessee is the fastest growing city in Tennessee and is 4th in the country. I hope that means something for our little historic town. There are lots of new things coming in and a few greats still here. Dreamingincolor store just celebrated 3 years in business. This is something I am very proud of. In today's world it is hard for small businesses to survive. Just thankful to be here another day! Dreamingincolor has received a few awards this year too! 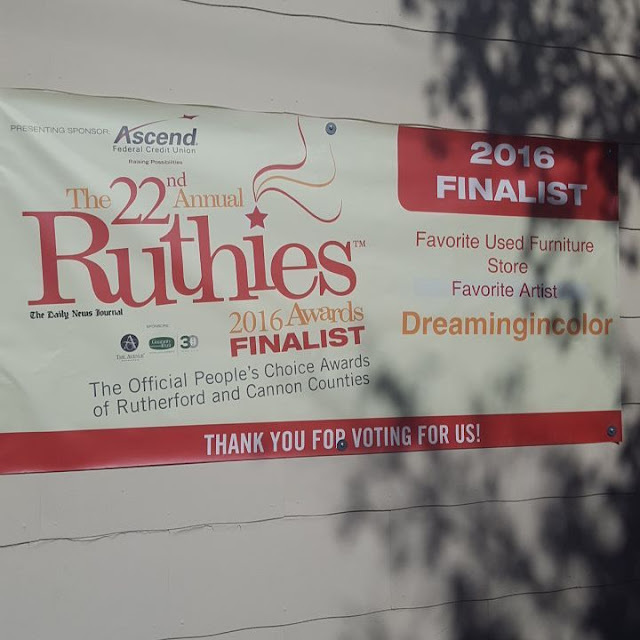 I was just recognized with a 2016 Ruthie for Best Artist and Best Used Furniture Store. It is always great to be recognized for the work you do. Thank you Murfreesboro! 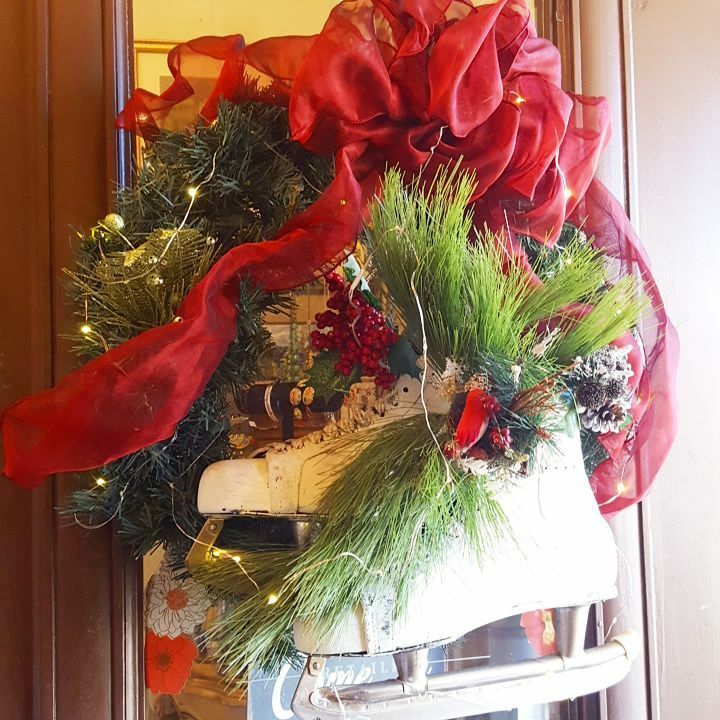 If you haven't been in to shop, we carry lots of unique items. Handmade, art, custom painted and built furniture. We offer upholstery, restoration, custom painting, and custom draperies. We build new furniture too! Lots of great things going on all the time. 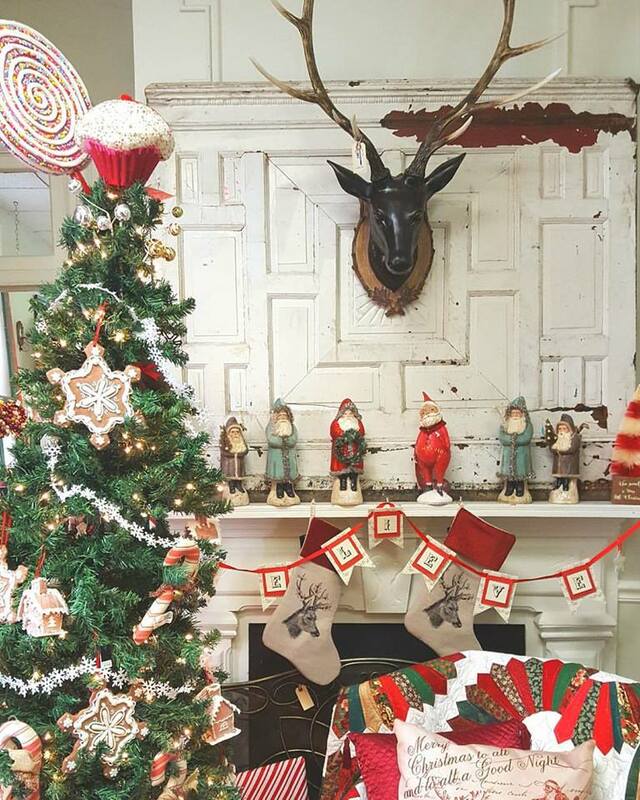 And now we are ready for the holidays. All decked out with beautiful decor in every room. So come check us out. Hope to see you all for the holidays! A panel of judges throughout the arts community will be judging entries. All finalists and artwork will be featured at the December 9th Boro Art Crawl at Dreamingincolor 504N Maney Ave Murfreesboro 37130 with a showing and reception Must be present. Make sure the image is clear and crisp. This is how it will be judged. *Make sure we have a first name, grade and a way to get in touch with you if you are chosen. The theme for the Dreamingincolor art competition is Winter. This can be anything related to winter or holiday. Only one entry per student. Any artwork that depicts copyrighted images will be rejected. Must be original ideas and created solely by students. November 25th 2016 is the deadline for entries. If chosen we will contact you by November 30th 2016. All chosen artwork must be delivered to Dreamingincolor 504N Maney Ave Murfreesboro 37130 by December 7th 2016. I love art and design, thrifting and thinking outside the box. This blog journey keeps going. I now have opened a store with the same name! Would love for you to follow along!